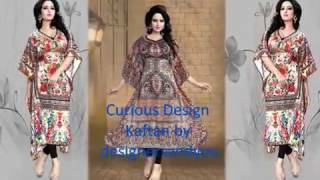 Kaftan Dress For Women: Plus Size Long Kaftan (Caftan) Dresses & Tops. With the passage of time it is now globally available but due to differences in the cultures it is called by a number of different names and a slight change in the style can be spotted. The best part is that the purpose for which it was used is rarely seen in current world scenario. It has been adopted by women’s for vivid purposes for multiple reasons in different regions. Somewhere it has functioned as a mark of royalty whereas in some regions due to climatic conditions being pretty hot and humid Caftan being a loosely fitted garment and being lightweight aids in fighting the heat. 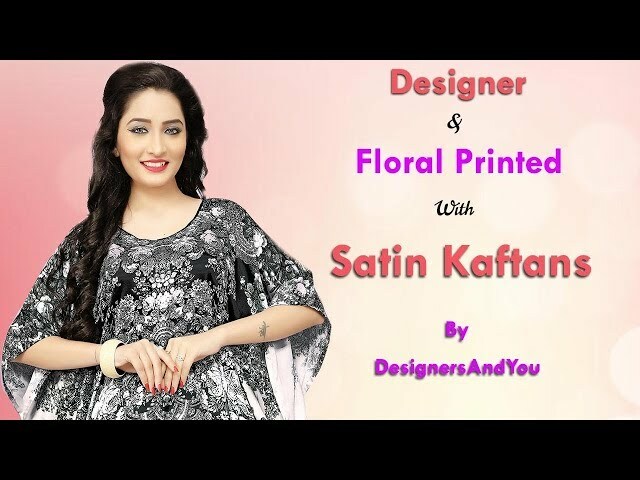 It has been decades since the use of Kaftan has come into existence and today it has become an integral part of their dressing not only in the Muslim countries but also the western countries around the globe. It is generally referred to as an overdress also known as jellabiya, caftans, muumuus or house dresses, wherein the sleeves are pretty wide open and the length is usually long covering the entire body of a lady till the toes. It is generally available in today’s time made from a wide range of fabrics such as Silk, Cotton, Georgette, Velvet, Wool etc. A kaftan is a long loose piece of clothing having long sleeves and extends up to the floor touch length. It is generally made up of silk which is impeccable and comfortable to be worn at any time. At DesignersAndYou.com we offer some pretty excellent full-length style clothing where each one is multicolor with a different color combination that reflects energetic hues. Our variety in terms of the different design and color will make you look and feel incredible wearing them. It is also made from various fabrics such as Cotton, Georgette, Satin, Chiffon, Rayon and Silk kaftan dresses for ladies with all shapes and sizes including the plus size ones. these decent apparels are highlighted with flawlessly composed digital printing rendering an unobtrusive touch of Center Eastern culture. A great number of ladies prefer wearing kaftan since it gives an adequate look along with sophistication and avoids overdoing; it is additionally dazzling and stylish. Kaftans for ladies are ensured to make you look completely shocking! Moreover, the fall of it will upgrade your look to flawlessness making you emerge in your group! Regardless of where you go, you will surpass and outstand with kaftan dress. In cooler locations like UK and USA, the Kaftans are generally preferred as a night robe or beachwear clothing. African beach Kaftans have been in popular demand and trending the market of women’s looking out for one piece swimwear. In the outmoded style when a woman wore those they were all up to the floor and also had full sleeves covering the complete arm. Now the length is reducing gradually wherein they are also available for the length of a T-Shirt and also having shorter sleeves. People now days wear Kaftans to stay relaxed during the holidays due to loose fitting style. Most of the people, when are asked about the clothing of the Arabs, all that strikes their mind first, is the Black Abaya paired with a matching niqab. To your surprise that is only partially true and in fact their traditional clothing is much more varied. The stylish Arabic Farasha is an integral part of the kingdom dressing. Morocco the country that is at the corner of the Arab world and is very near to Europe has adopted a very unique and distinct style. Their patterns are normally preferred with embroidery work and much more colorful as multicolor is liked more by the local ladies. The drift in a fashion of Caftans has very much shifted to the printed version rather than the embroidered and heavily embellished ones. The design print is done on both the front and back giving it a beautiful charming look. The best thing about these designs is that they are plus sized plus they come in free size. So the same Kaftan can be worn by a slim lady as well as a plus size lady. Once a girl adorns it they look really beautiful without any extra adornments. These are made using silk, cotton or polyester with slight stone-work or beadwork. Sometimes patch-work of embroidery is also liked by people for formal wear. Informal kaftans are also made of almost similar fabrics but the surreal informal look is the result of a variety of cuts and striking styles. Some people also refer to it as Takchita. It has two pieces. The bottom layer is a simple dress and the top layer is beautifully decorated to give it a really awesome look. These are available in many cuts. They are available in a variety of colors, prints, and embroideries. They are sometimes made as eye-catchy by the application of bright colors. These are slightly different as they are available in the form of a long suit with tight sleeves. It might come as a surprise to many that even men wear these kinds of kaftans. These are common in West Africa. Just like Russian, they are also worn by men and they are complemented with pants. The ladies counterpart of this is casual and smart looking. Then again the new present-day kaftan batik is another overwhelming design. In the wake of getting some current touches given by the skilled designers’ team, we can see that they have taken kaftan batik to a whole new level in terms of fashion. Here we can see that kaftan batik crepe and kaftan batik Terengganu are so well known among our fans. We trust the reason lies behind the beautiful designing of kaftan batik available on our website. We promise to provide just the best materials to give you the genuine fulfillment when you shop with us. Wear it with coordinating extras to completely get the desired charming look. Nowadays, Satin/Sateen Kaftans are on trend. Women's Like to wear it as a regular (day to day) wear due to cheaper cost, feel like silk and thick fabric. Easy to wash is an additional benefit/attraction for demand. There is two popular type of woven sateen fabrics produced with various materials. It is a smooth fabric and is weft-faced. This results in lustrous look. Generally, the picks/inch are one and a half times the reed. This threads used in making to mercerize sateen. This is also a reason for its smoothness and luster. It also helps to increase the dye pickup that gives it the needed eye catchy look. The cotton version of this fabric is more popular, but polyester Sateen is also made. Cotton sateen is a main raw material for Kaftans & bed sheets. Sateen made from other yarns are best for curtains and furnishing fabrics. It is a smooth fabric and is warp faced. It is best recommended for evening wear for women. The count of the warp and weft threads are almost even. It is also mercerized and it gives the same properties as discussed in sateen. In satin generally, the no of threads in each dent of the reed are five resulting in the lustrous look of the fabric. Note: Like sateen, this fabric is also used in Kaftans, bed sheets, curtains, and furnishing fabrics. Be it creating African tribal printed long kaftans or the in boggling digital print patterns we assure you of the utmost satisfaction. Even they this style is floor length you still need to opt in for some cool stuff to pair with a bottom of the desired gorgeous look. Either you can try out the simple trousers or the jeggings which are sure to give you the chic look. Nothing but pure luxury styles is one thing that you will always find on our E-store. Our collection of kaftans at online store consists the latest variety of patterns along with various colors.